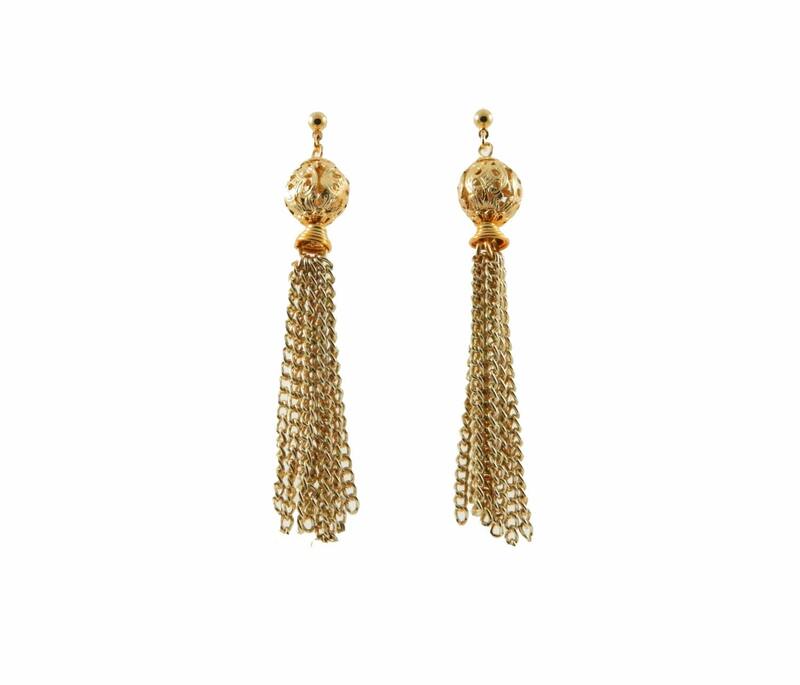 Vintage Gold Plated Brass Tassel Earrings. Long Gold Tassel Earrings on Gold Ball Studs. Earring Length: 3 1/4 Inches.